CINCINNATI — Living in in a Husman House condo in East Walnut Hills, Melanie Bates has enjoyed a front row ticket to what she called "the best view in the city" for six years. On a rainy night in February 2018, she also had a front row ticket to a landslide. "There was foliage, there was brush, and then one day in February we came out and it was all gone," Bates said. 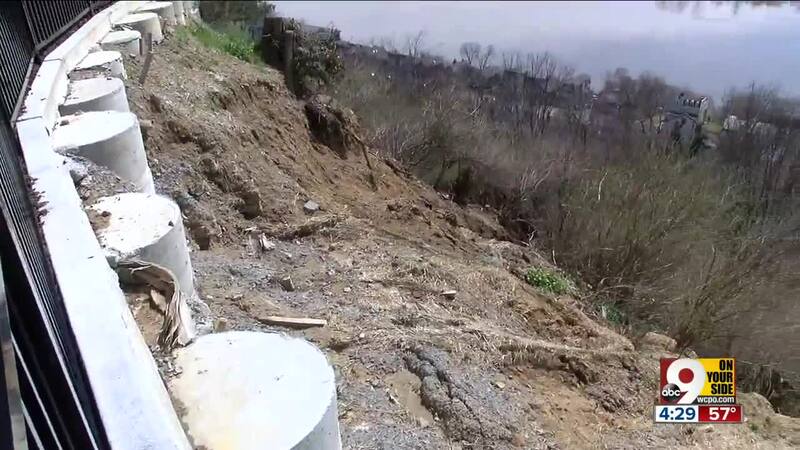 As the city has continued to address Columbia Parkway landslides down on the road, dozens of residents who live on a hillside over the parkway dealt with with the issue from above last year. It's an issue many more residents overlooking the road may soon need to deal with. Bates and the other 42 residents of the building — which looks down on Columbia Parkway — had to act fast after the slippage below their building. That's when senior project manager Beth Coulson stepped in. "The foundation really had crumbled and fallen, and we were at great risk of that retaining wall falling away had we not done this project," she said. The $350,000 project involved installing a retaining wall and piers up to 32 feet tall. It took about nine months and at least nine contractors. It's fortunate they completed they project when they did. Coulson said if it had happened this year, with all the Columbia Parkway landslides, it would've had a larger price tag. "We feel lucky that we were given this warning last year and we stabilized our property, or else we would have very possibly lost more property in the last year," she said. 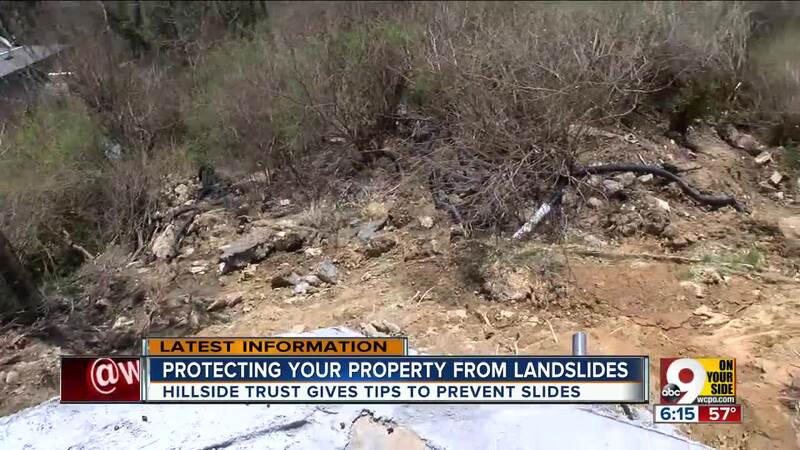 The Hillside Trust, a group advocating for "thoughtful use" of local hillsides, has sent out brochures to people like those living in the Husman House about how to lessen the likelihood of landslides. For example: do not have any water draining at the edge of the hill. "A lot of water is poured out of popes when we have heavy rainstorms, and that oftentimes will exasperate landslide conditions," said Eric Russo, the executive director of the Hillside Trust. Also, residents shouldn't dump yard waste at the end of the hill. "If the pile is allowed to build up over time, that becomes very heavy and can trigger a landslide also," Russo said. Bates is glad her building has already addressed the issue. "The city has to act fast," she said. "They really do, because the job is only going to get bigger. People can get hurt, and the contractors are going to be in more demand."